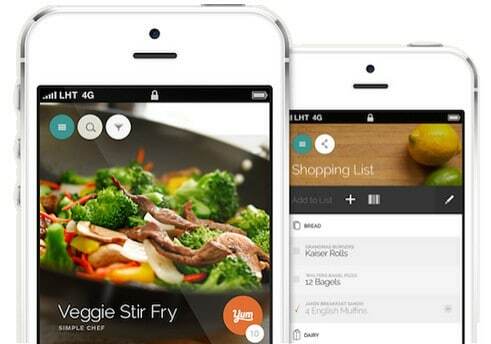 Yummly puts every recipe in the world in your pocket (or desktop). The most powerful recipe search, digital recipe box, and recipe recommendations tailored just for you. 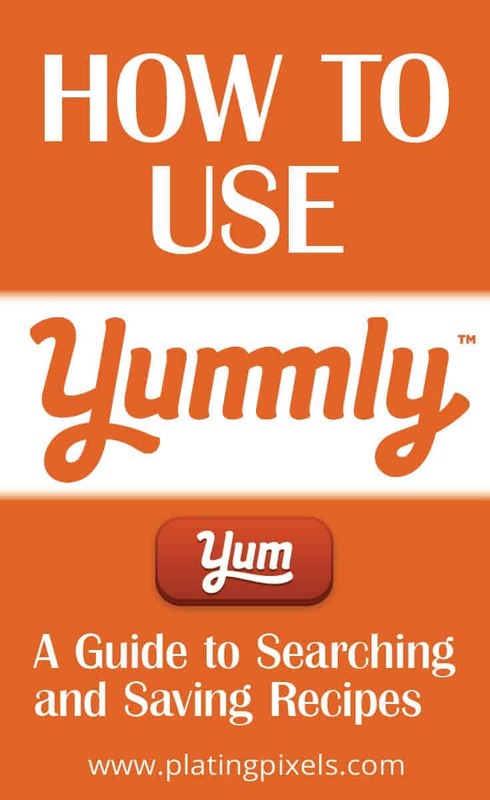 This guide will explain how to use Yummly and cover many of its features. The benefits of Yummly for food bloggers is extra exposure and a chance to get their recipes to a wider audience. 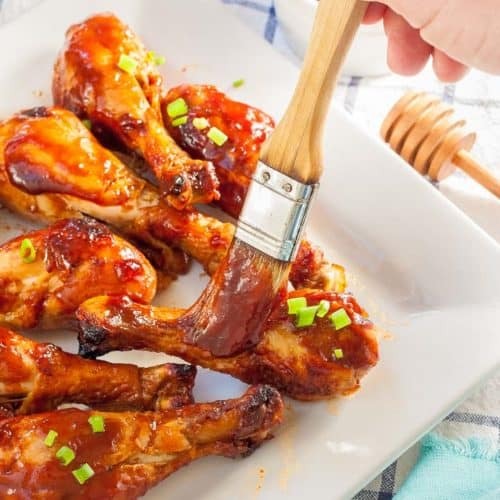 The other main factor is that only the ingredients list is featured on Yummly, so you’ll need to click back to the original blogger’s post to get the instructions. This makes sure our hard work isn’t stolen and hosted on another site. Save the recipes you find from any of your favorite blogs…including this one! 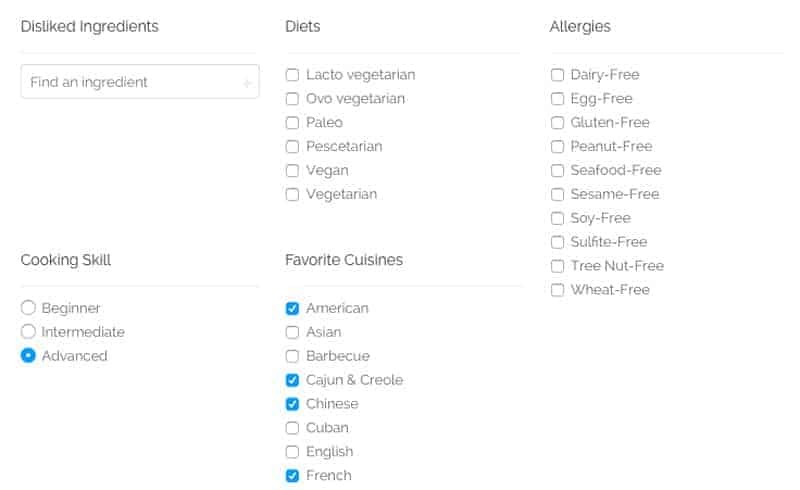 Set up your taste profile with your unique preferences, diets, and allergies (searched recipe will only show that criteria). Just for You recipe suggestions. 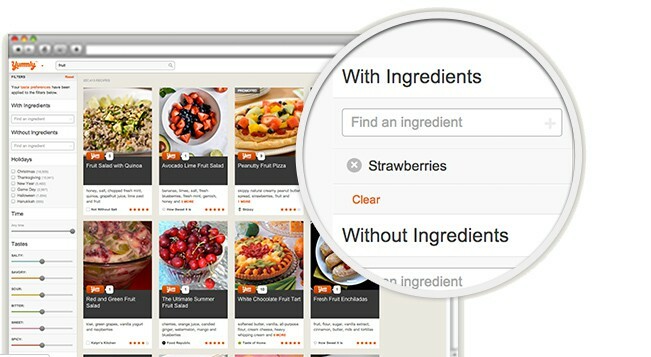 Ingredient ‘with’ and ‘without’ searches so you can find recipes with the ingredients you can make right now. Recipes and shopping lists on the go. You can find my Yummly profile here. 1. Save the recipes you find from any of your favorite blogs…including this one! Any time you visit a food blog, hit the Yum button. You can see it in the the screenshot above of my Mixed Berry Oatmeal Smoothie recipe. Feel free to Yum that plus any other recipes you like on Plating Pixels. The Yum button is above and below every recipe post on Plating Pixels; as well as hovering on desktop and mobile versions. It’s as simple as that. It will save the recipe to Yummly. Now the recipe is indexed, stored in your Yummly account, and searchable within their network. As recipes get more Yums, they get exposed and recommended more often throughout all of its platforms and features. Here’s some of my recipes that you may like and want to Yum! Group your favorite recipes into collections on Yummly; add to them as you find more recipes, and call them whatever you like. You can have a collection for your blog recipes (if you’re a food blogger), or collections based on food, diet, ingredient, season, etc. 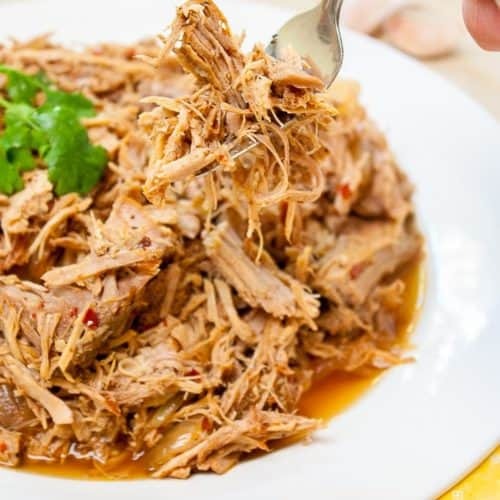 Want a slow cooker chicken collection? That’s easy to create. If you’re familiar with boards on Pinterest then you got the concept. They’re like little cookbooks! Yummly lets you cater your recipe search to exact details, ingredients and diet preferences. 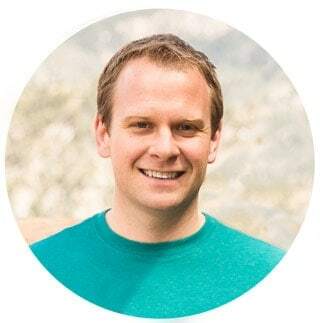 On their about page Founder and CEO Dave Feller says “I couldn’t find a way to search for recipes and exclude anything with mustard. Luckily, for foodies everywhere, he decided to do something about it, and created Yummly.” I happen to like mustard, but to each his own. This is where the beauty of specific personalized recipe searching comes in. What’s this mean for you as the user? You can set up your profile with your cooking skill level, favorite cuisines, diet and allergies, and liked and disliked ingredients. This means recipes tailored exactly for you. Right at the top of my Yummly page is a ‘Just for You’ button. 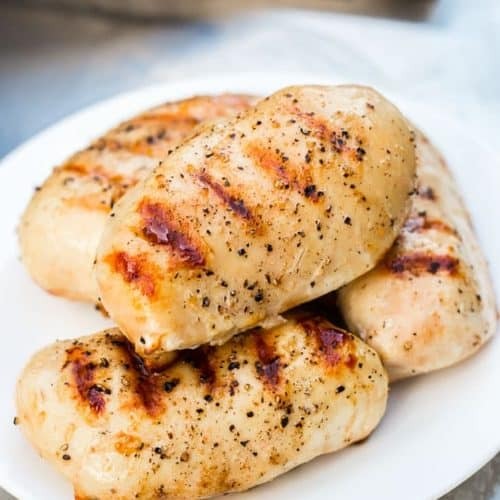 Click on it and you’ll find recommended recipes that are just for you! There’s ‘top recipes’ as well as recipes for various sections like breakfast, dessert, etc. 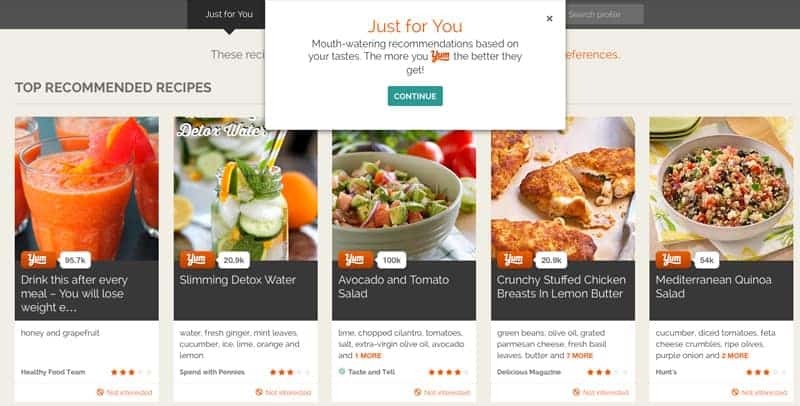 You can click ‘not interested’ to inform Yummly of your taste and diet preferences, making it even more accurate. Think of it as a thumbs up or thumbs down. Discover recipes to make right now with ingredients you have on hand using the helpful “with” and “without” filters. Turn ingredients on and off to get find just recipes that you have ingredients for. The browse feature let’s you fine tune this even more, while providing suggestions. I went to browse then searched for ‘burger‘. It recommended recipes with beautiful photo previews, the title, short description, Yum number, star rating, prep time and ingredients number. What’s really cool is you can fine tune this more with the sidebar. Add with or without ingredients to your search, set the occasion or season, cook time, diets, allergies, techniques, nutrition, cooking methods, cuisines, or type of dish. You can even set your taste preference (salty, savory, sour, bitter, sweet, and/or spicy) on a sliding scale. This is all within my search for burgers! Imagine being able to find the perfect burger recipe based on your mood, ingredient list and diet choice. With the Yummly mobile apps you’ll have everything you love about Yummly and more in your pocket. The most powerful recipe search, your digital recipe box, recipe recommendations, and a smart shopping list–all with you wherever you go. 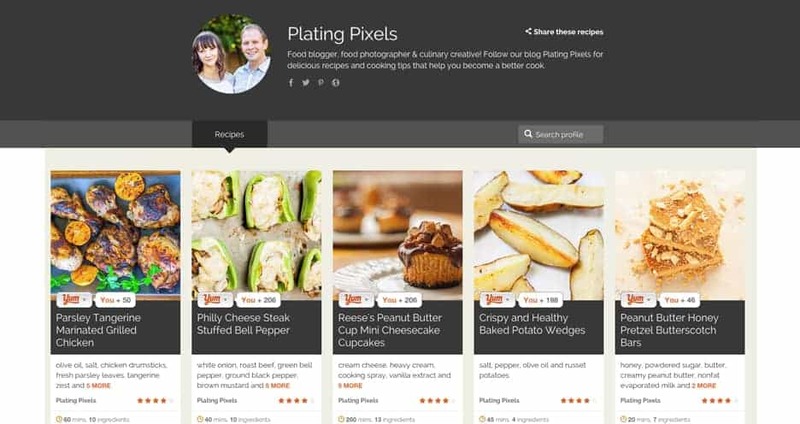 With their powerful Add Your Recipe tool, you can keep every recipe you love on Yummly. You can also add any recipe from your favorite blogs and websites to your personal recipe box, just with one click of the Yum Bookmarklet or browser extensions. Right here on Plating Pixels you’ll see an orange ‘Yum’ button on every recipe. It will be in the sharing options above and below posts; also on desktop you’ll see it hovering on the left side, and on mobile it will be locked in the footer. Any time you visit a food blog, hit the yum button. If a website doesn’t have a Yum button you can also add a Yum Bookmarklet or browser extensions for easier Yumming. It will save that recipe to Yummly (you’ll need a free account). Now the recipe is stored in Yummly and searchable within it’s network. If that recipe is already in the network, it will give it a boost so others can find it more easily. Read this article to learn how to add the Yum button as a plugin. Read this article to learn how to add the Yum button as html code. Read this article to learn how to add the Yum button as an image hover on your photos. As you can see, Yummly is a great addition to your favorite food blogs (including Plating Pixels). 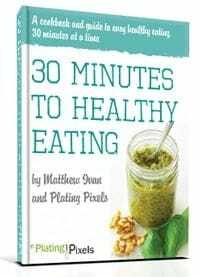 I hope you found this helpful, and please Yum any recipe you find and enjoy on Plating Pixels. Here’s some more of my recipes that you can Yum or share! If you liked this post you may also enjoy my How to Start a Food Blog Guide. It will inspire and teach you everything you need to know to get started. Share or Pin this post if you found it useful. The description and some information in this post was referenced from content on Yummly’s website. Excellent info ! Tweeted and pinned ! Thanks so much Linda! Glad it was helpful.